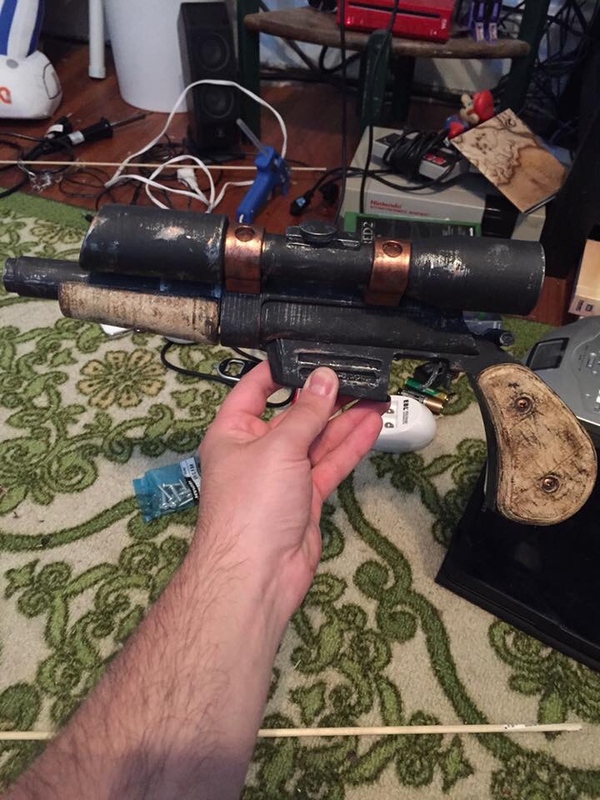 If you don't fail, you aren't trying. 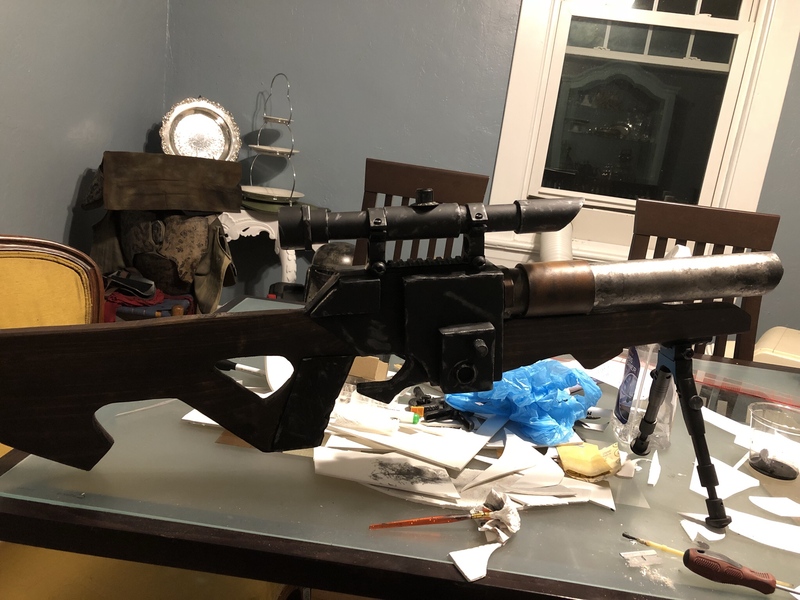 Heres my BFG. 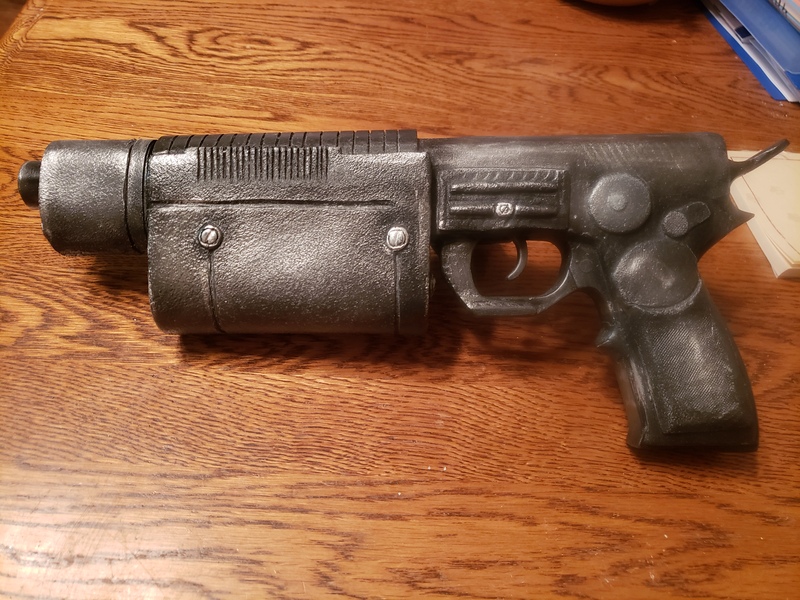 Modeled after Baze's HH-12 from RO. 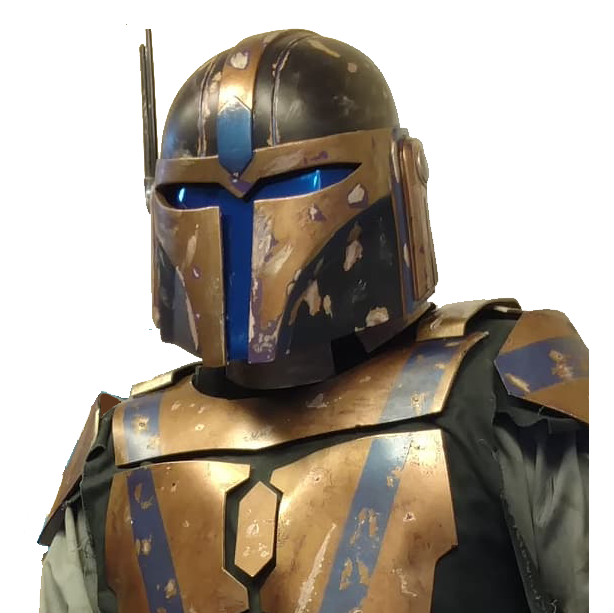 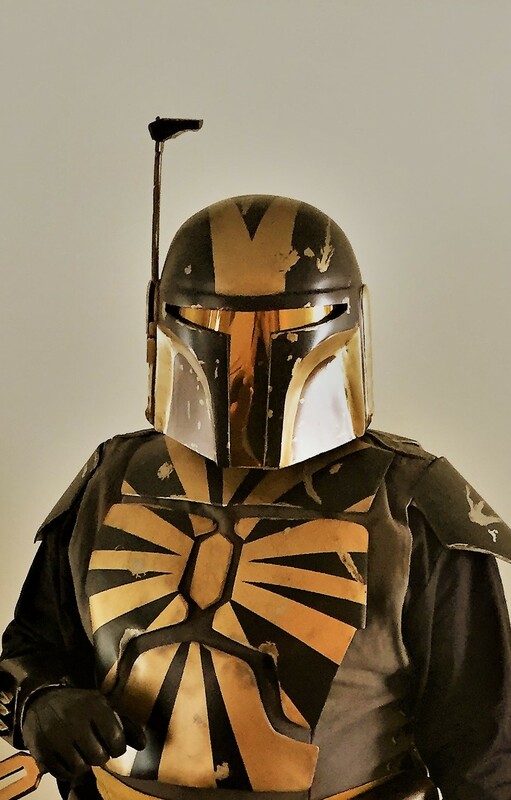 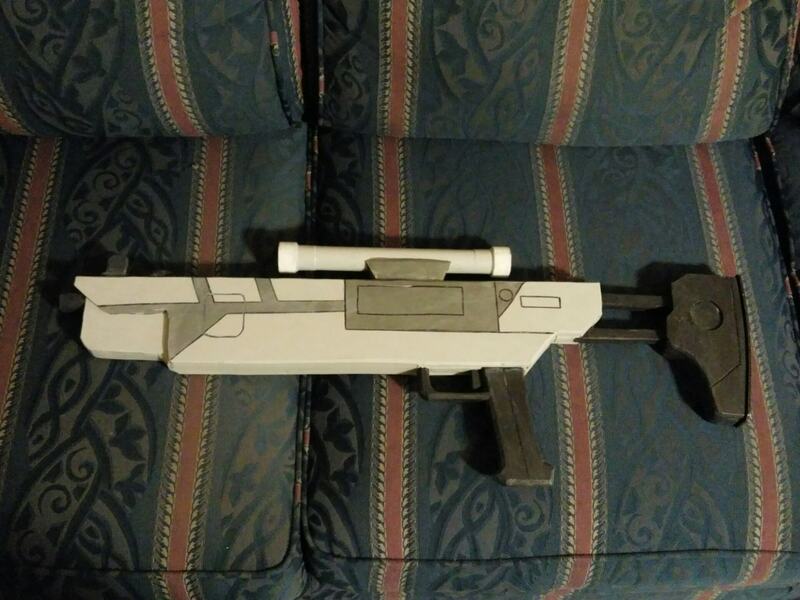 My updated, modified, and repainted Verp. 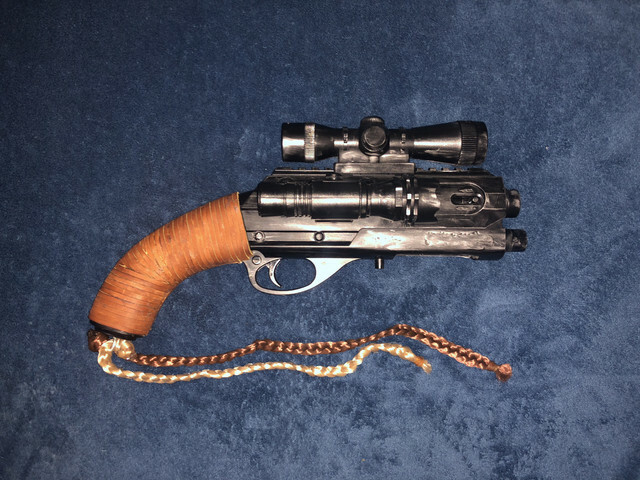 I don't use the Force. 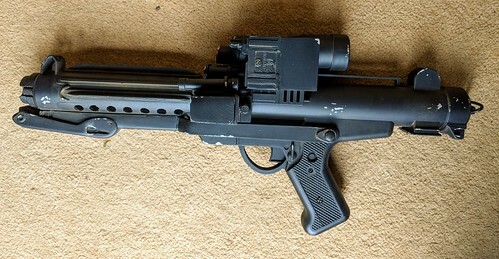 I just use force. 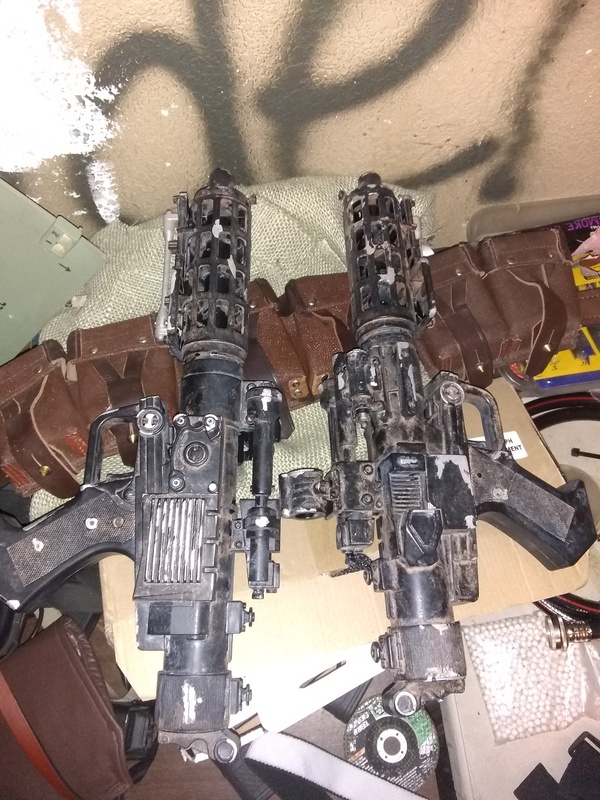 Two blasters for 2 seperate modern kits working on. 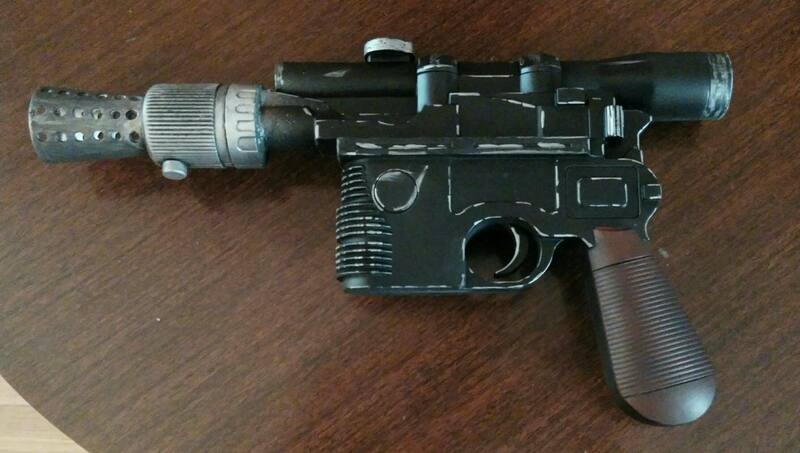 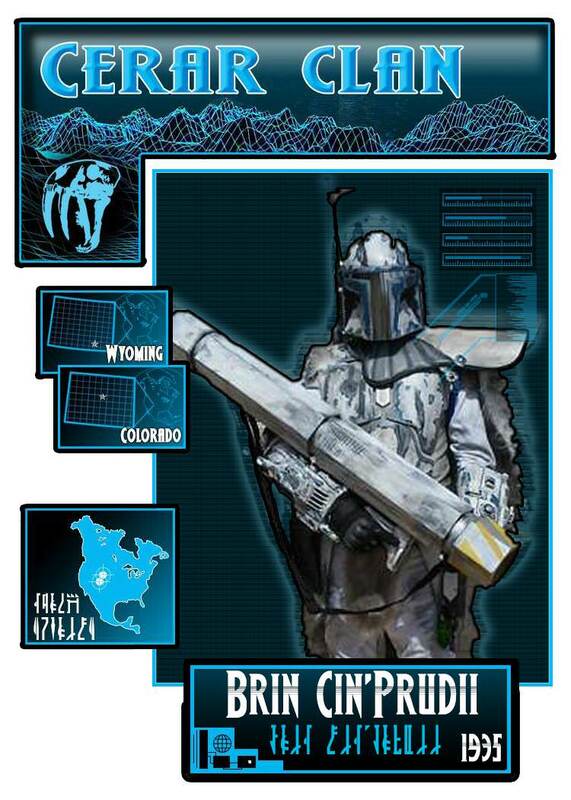 One is Qi’ras Blaster another is a custom built. 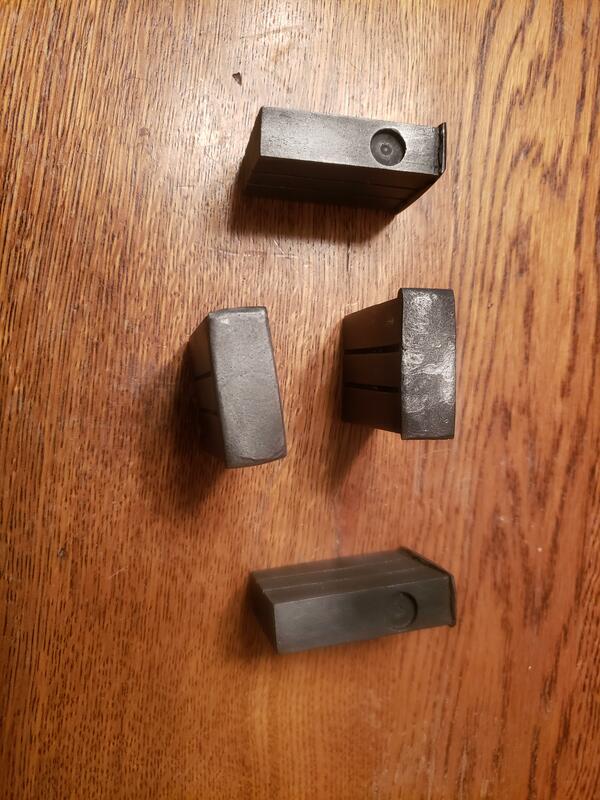 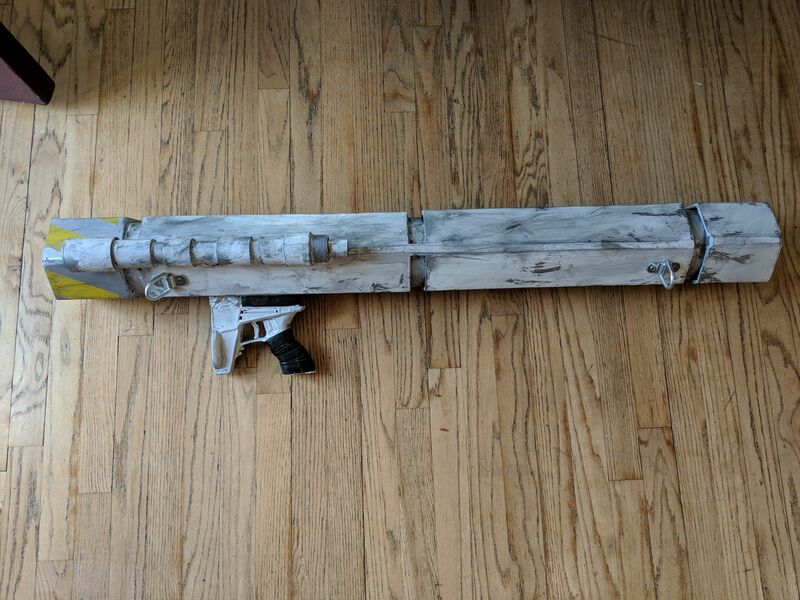 Have a make, model number, and backstory if needed. 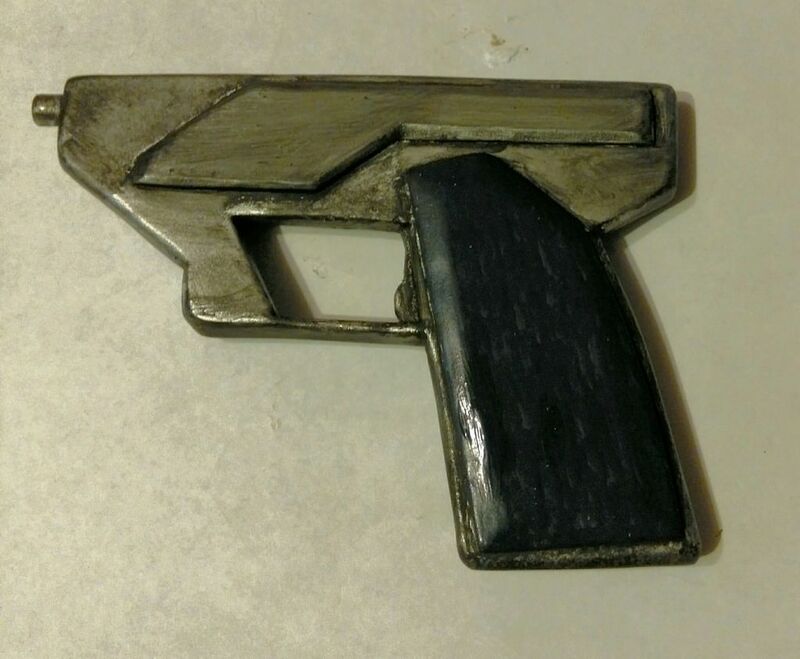 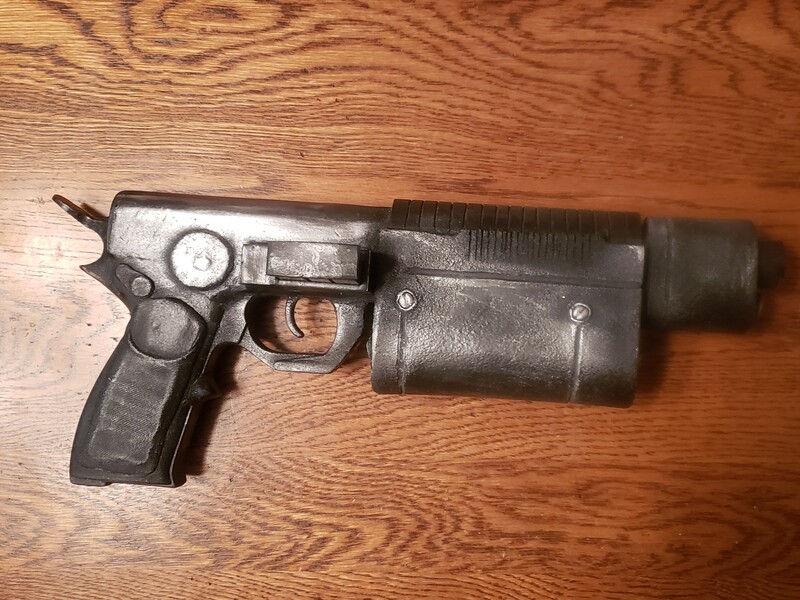 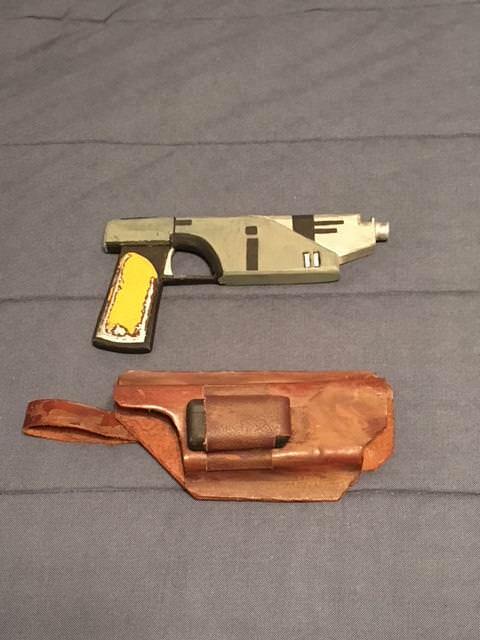 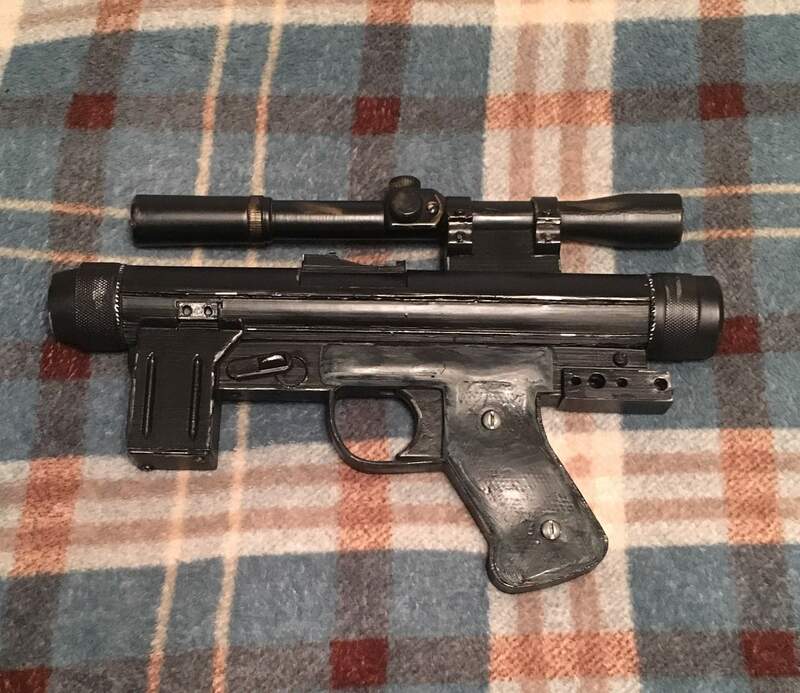 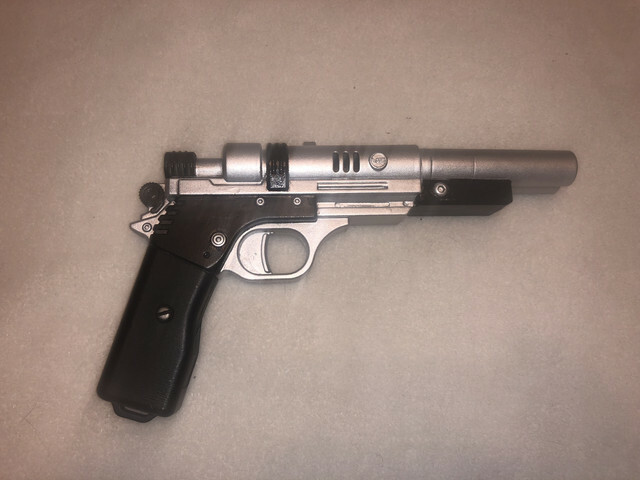 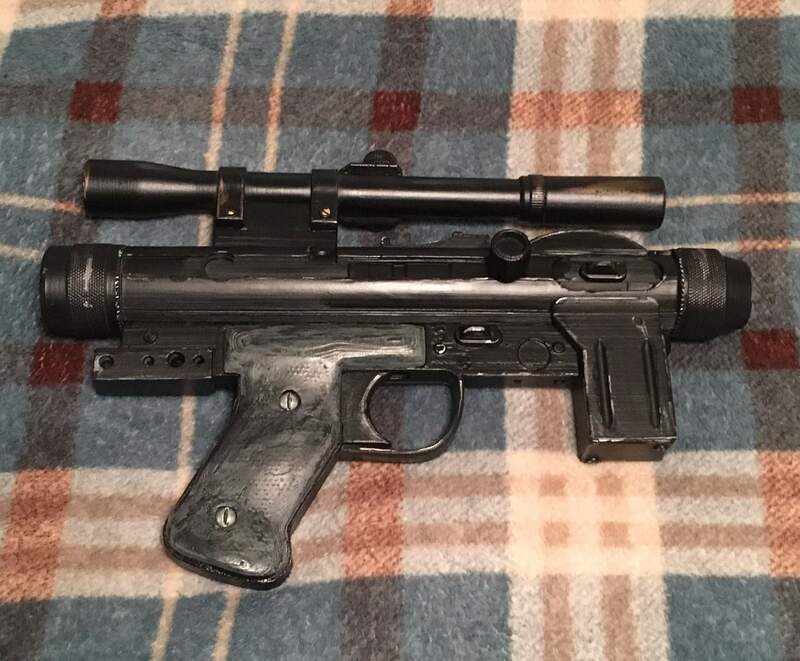 I'm going to call it a K16t Bryar ("t" for Tor) as the base pistol isn't quite exact, but it was what I had on hand to modify. 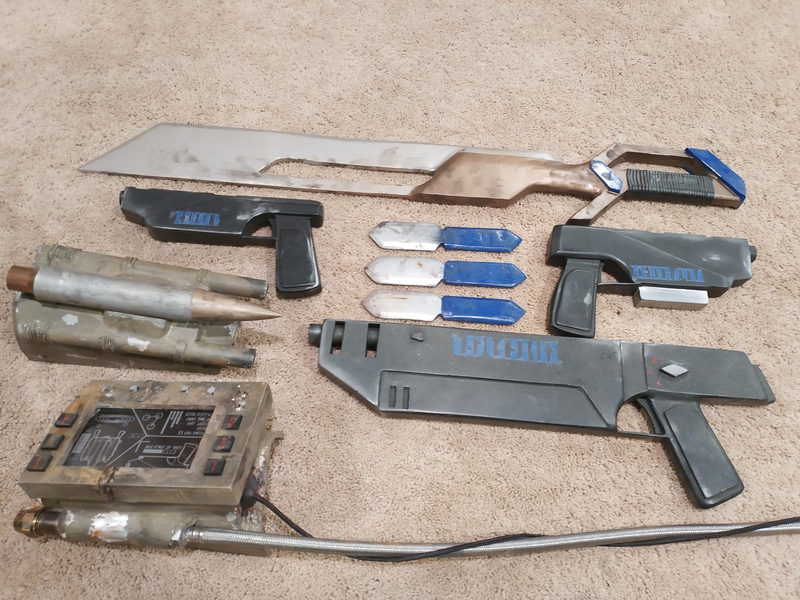 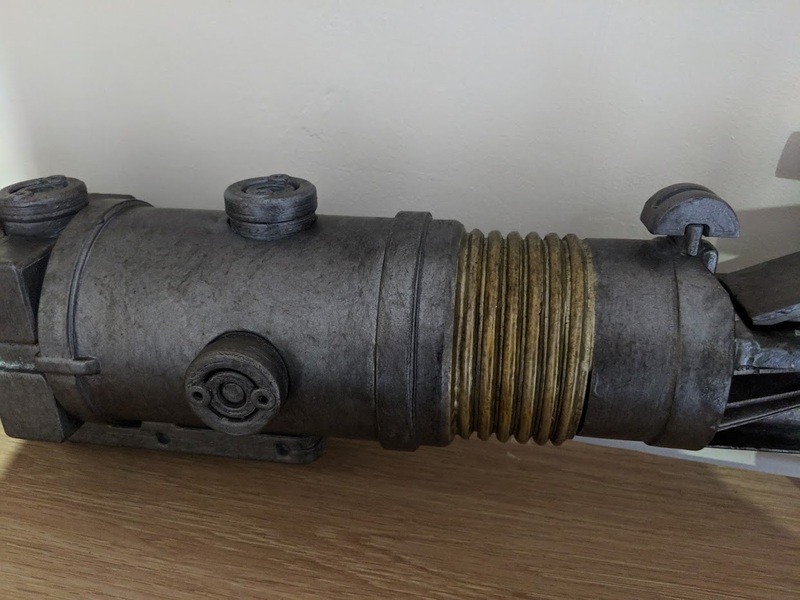 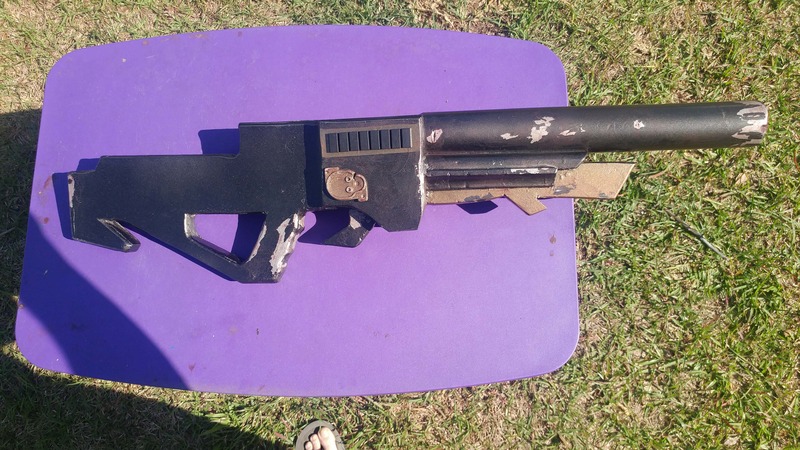 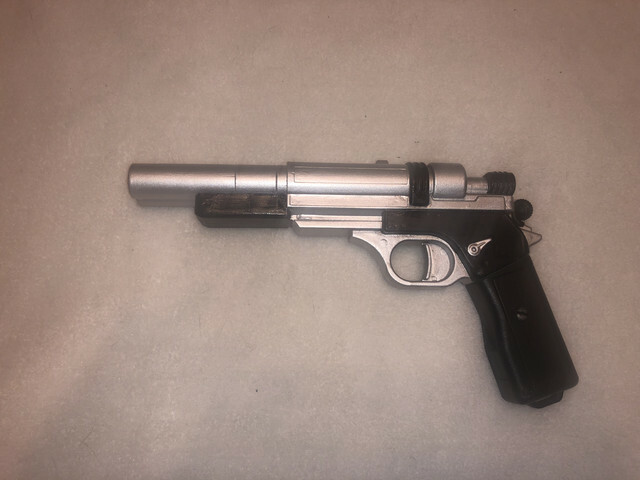 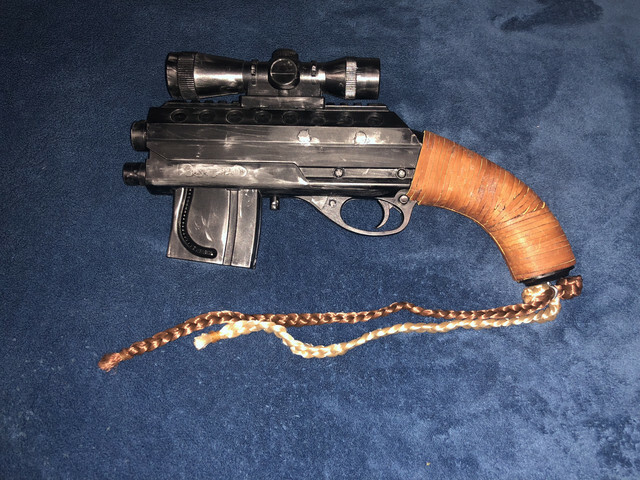 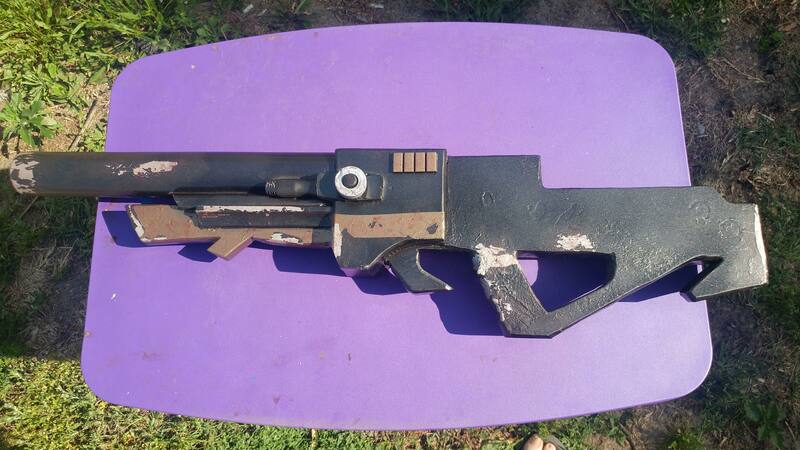 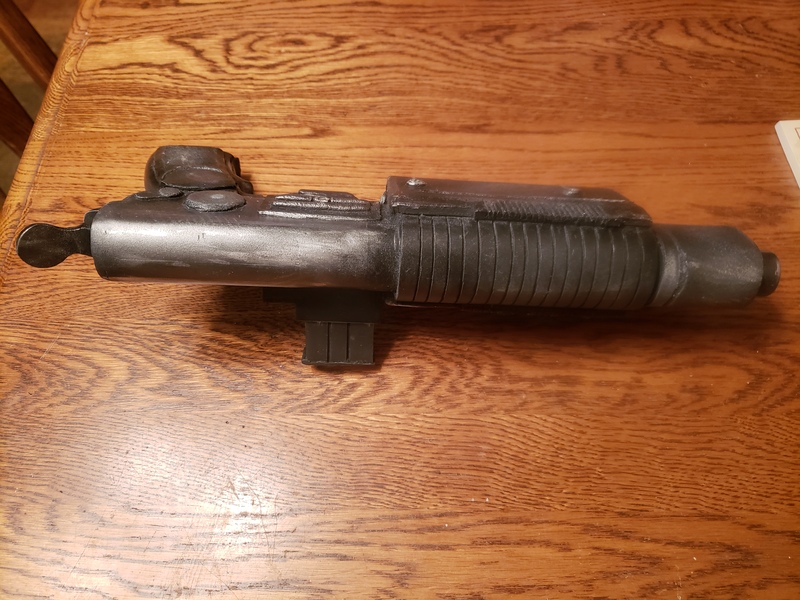 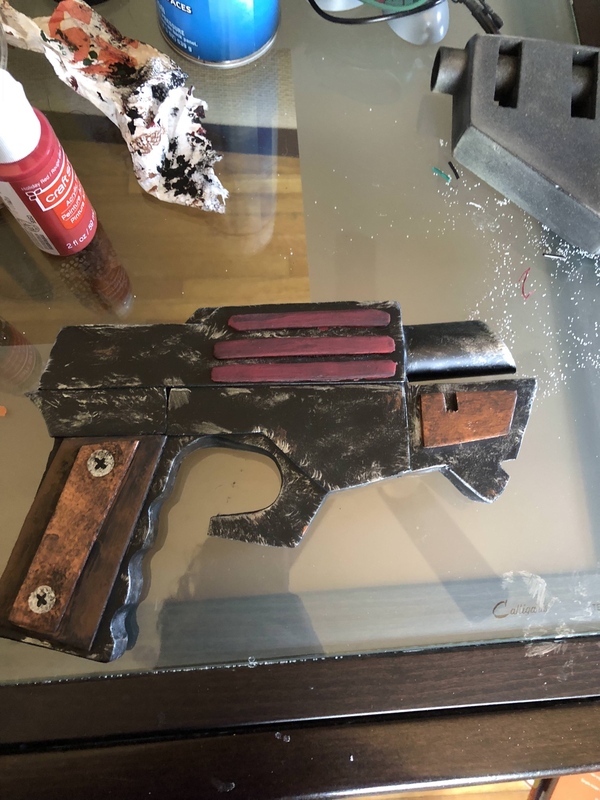 Scratch built over top of an old suction cup dart gun with Sintra, Terraflex, Milliput, a knurled valve stem cap, and PVC pipe, it features a cast resin magazine well, cast resin screw heads, and cast resin blaster cartridges. 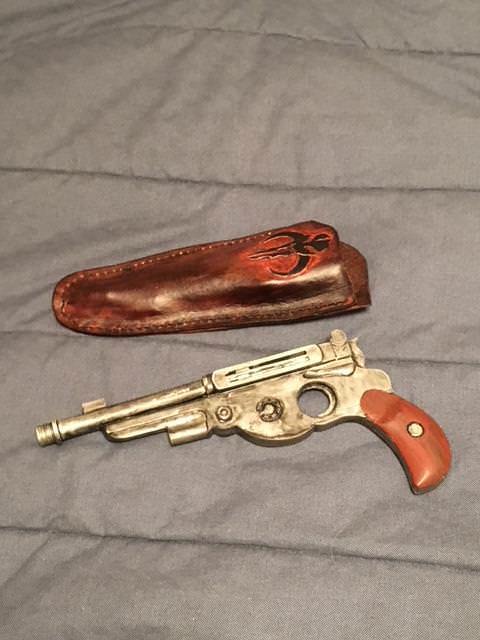 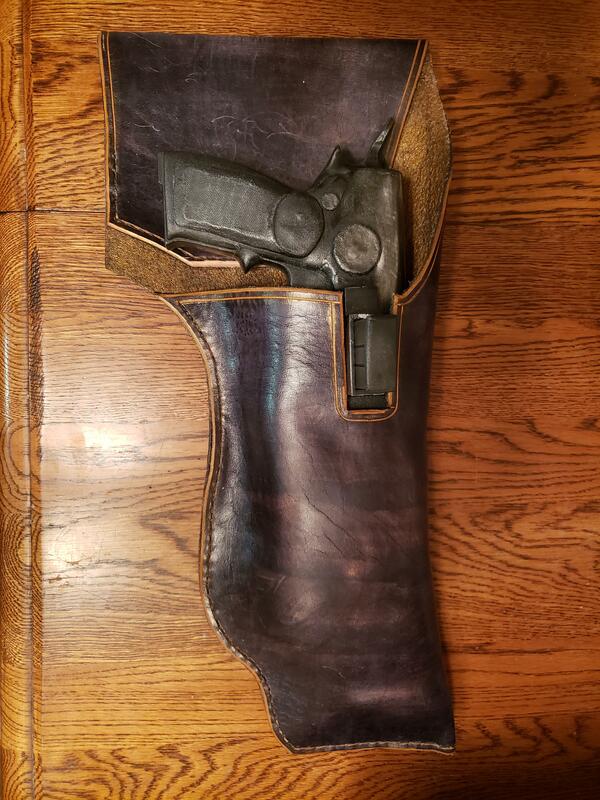 I also made a hand saddle-stiched leather holster, formed to its general shape, for its home. 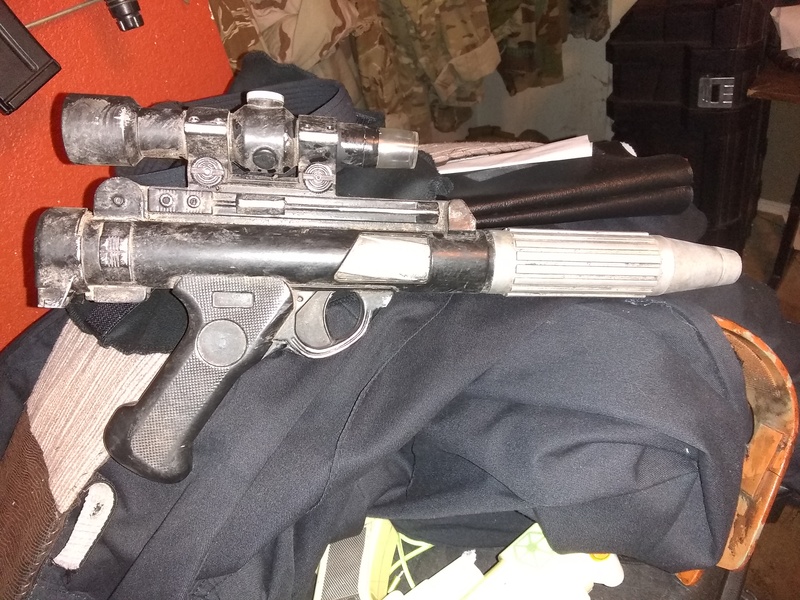 My new primary weapon - T-21B from Battlefront - already for Brigade Heavy Weapons App once other upgrades are finished.